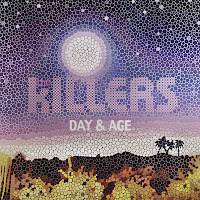 The Killers have revealed the cover to follow up of 2006's 'Sam's Town' titled 'Day & Age'. The album which includes the new single, 'Human' and various songs that the band have played over the summer in festivals looks set to be the best. Look out for the release next month!